Well-Nigh Wordless Wednesday: Welcome 2014! Hope you are too! Here’s to a happy, productive, and wonderfully fun 2014 for you all! I thought so! He looks like a little alien from the front though. Will post a photo of his face sometime – it’s pretty wild! :) How can you resist the fuzz? 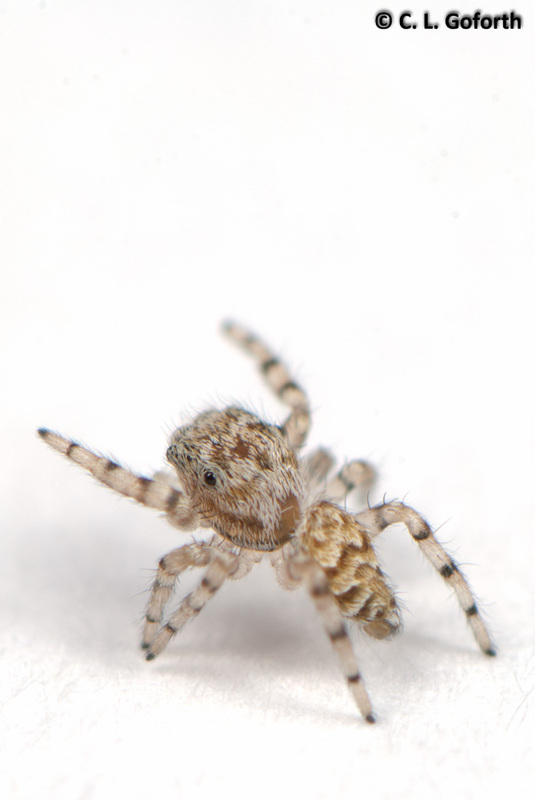 Jumping spiders are my very favorite. Their big adorable eyes. I am having a hard time teaching my son not to be afraid of them. That’s too bad! Jumpers are among the least intimidating spiders for me, so I hope you can get him past that!